Art supplies Auckland can be found in a range of locations offering a wide range of products for both professional and hobby artist. Established in 1975 by Gordon and Ann Harris, they have an impressive range of art supplies and are well worth a visit if you are in the Newmarket area. Watch out for their regular sales – although this does tend to focus on hobbyist products such as Expressions Canvasses – which are often 60% off. This is a smaller showroom than their main Newmarket store and caters mainly to AUT and Auckland University art students. Large showroom in Crummer Road with a specialist framer/stretcher on hand to create commission stretched canvasses for you. The French Art Shop has a good range of brushes, paints and paper. They specialise in custom made canvasses. Offering a good range of products. Check out their regular art classes as well. If you are interested in art classes in Auckland you may like to check this directory listing. Owned and operated by Daniel Metcalf since 2004, Frames By Daniel specialises in custom built supports, including stretched canvasses and box boards. This is arguably New Zealand’s largest supplier of art supports. They create a wide range of shapes including; oval, cross, heard, triangle, square, round and rectangle. 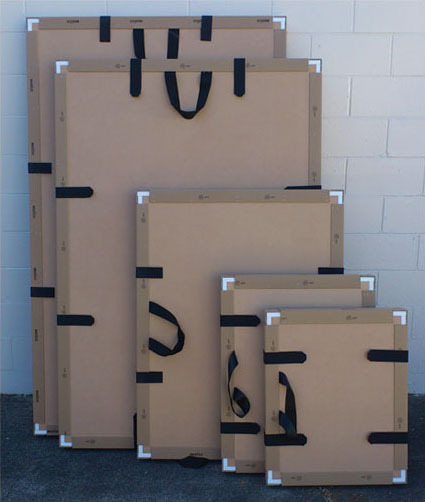 They also produce high quality custom made art boxes for shipping nationally and internationally. Open Monday to Friday during normal business hours.